Orders are processed and shipped at 12:00 noon Monday - Friday. If you require next day shipping, please order before 12:00 noon to avoid disappointment, since it is not always possible to ship orders the same day if placed after this time. In any case, if all items from your order are in stock, the order will normally be shipped within one business day. Where any item from the order is not in stock, the in stock items will be held for you and the order will be dispatched as soon as all items are available. You will be given an estimated dispatch time when you place any items in your basket and again when submit your order. There can occasionally be delays with back ordered items, depending on the stock situation at our suppliers. If we become aware of any change in the estimated delivery time, we will notify you as soon as possible. 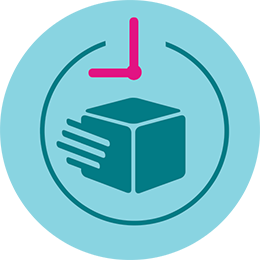 Delivery dates are not guaranteed, but you can expect delivery within 3 working days of your parcel being dispatched. We will post your order for guaranteed next working day delivery. Order before 12 noon on Tuesday 23rd April and your order will be out for delivery on Wednesday 24th April. We will post your order using guaranteed Saturday delivery. Order before 12 noon on Friday 26th April and your order will be out for delivery on Saturday 27th April. Please be aware that not every delivery option is available to all areas of the UK. To see exactly what's available to you, add the items you'd like to purchase to your basket, check out and enter your postcode - there's no obligation to order. Depending on factors such as the size of your order, we may be required to upgrade your choice of shipping option to a better service at no additional charge. Any change of service will be reflected in the tracking information contained within the email which will be automatically sent to you when your order is processed for shipment. So that parcels are adequately insured and arrive with you safely, we require a signature on delivery. Please ensure that someone is present at the specified delivery address to accept the package. If nobody is present the parcel will either be left with a neighbour or your order will be held at a depot for you to collect. Regrettably we are unable to offer shipping to addresses outside the United Kingdom for the forseeable future. 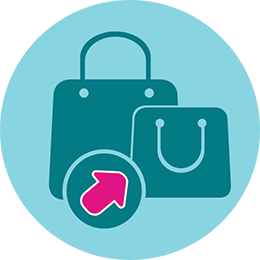 You can return unused and unworn items to us for a refund for any reason. You don't need to tell us the reason for wanting to return, however feedback is always helpful and appreciated and you can leave this by replying to any of our emails. Orders delivered within the UK can be returned to us within 14 days using our free returns service. Any order which was collected from our collections desk must either be returned in person or shipped back to us at your expense. Orders delivered outside of the UK must be returned to us at your expense. Free returns are limited to 2kg so if the items weigh more than this you must pay the cost of return postage. Please use our online returns form to obtain a returns number. Some restrictions and exceptions apply: for example, personalised items can't be returned and for hygeine reasons, we can't accept tights or underwear that has been taken out of the sealed packaging. You can read full details of your cancellation rights in our terms and conditions. All goods are inspected upon return. Please ensure that you package returns carefully and that they reach us in a suitable condition. This service is offered as a courtesy and convenience to our customers. We reserve the right to withdraw it at our discretion if we believe it is being used excessively or inappropriately.